(d) He possesses any article used or fashioned in a manner to lead any person who is present reasonably to believe it to be a deadly weapon or represents verbally or otherwise that he is then and there so armed. 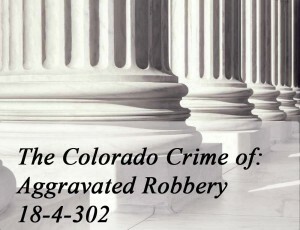 (3) Aggravated robbery is a class 3 felony and is an extraordinary risk crime that is subject to the modified presumptive sentencing range specified in section 18-1.3-401(10). (4) If a defendant is convicted of aggravated robbery pursuant to paragraph (b) of subsection (1) of this section, the court shall sentence the defendant in accordance with the provisions of section 18-1.3-406. 9. with intent, if resisted, to kill, maim, or wound any person. 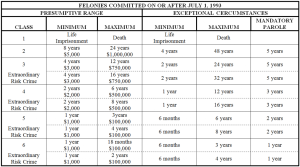 11. with the intent, either on the part of the defendant or the confederate, if resistance was offered, to kill, maim, or wound any person, or by the use of force, threats, or intimidation put any person in reasonable fear of death or bodily injury.